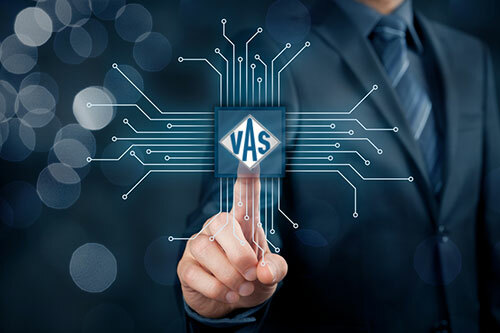 At VAS, we focus exclusively on your needs: As a comprehensive service partner, we support you in the conception of your system with a design tailored specifically to your wishes and requirements. 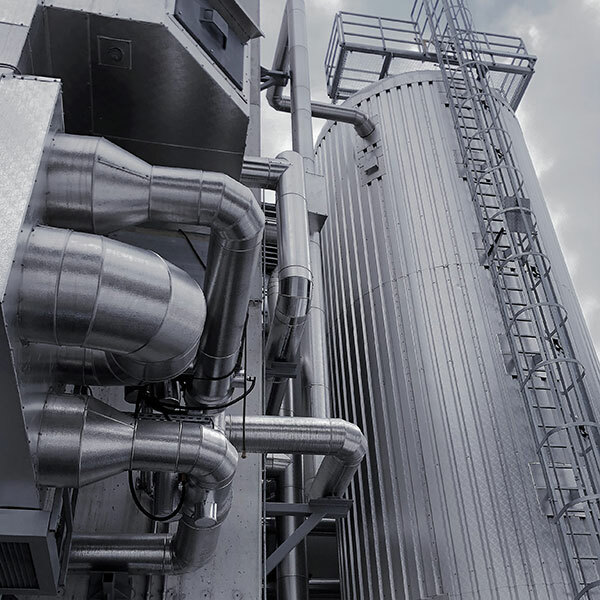 With the complete delivery of your system comprising our own developments and products – from fuel feed through to emissions technology – it is impossible for any interface risks to arise due to third-party providers. At VAS, you receive everything from a single source: Our work begins with planning your perfectly tailored complete system and our support extends well beyond system commissioning. This allows us to react quickly as and when required. Our promise: The best technology from a single source. The delivered and processed fuel is stored in the storage bunker, and hydraulically and electrically operated conveyor elements transport it to the combustion chamber. The conveyors are designed in such a way that a broad spectrum of fuels can be added automatically to the combustion output in accurately metered lots. This seamless transition between fuel storage and the combustion process is an integral part of a comprehensive optimisation concept. The fuel is taken to the heart of the system: the combustion chamber. Here the fuel is dried, gasified and finally burned in a combustion system adapted to the respective requirements, featuring an enhanced step grate. The special flame routing ensures complete and clean burnout of the combustion gases. This continuous process is optimised by sophisticated control of the fuel and oxygen flow rates. This in turn allows use of a wide range of fuels and fuel combinations, while maintaining good partial load characteristics. All the ash produced is conveyed automatically from the system. 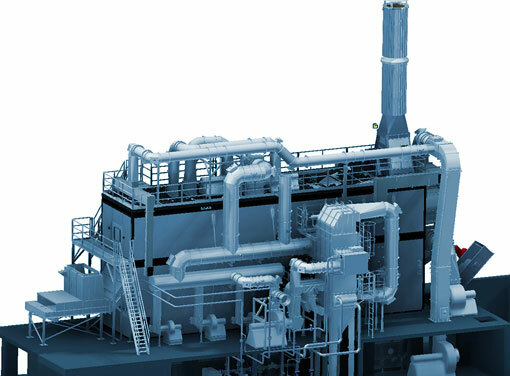 The energy from the combustion gas is transferred in the boiler and the economisers to the heat transfer medium, where it is then available for electricity and/or heat generation. 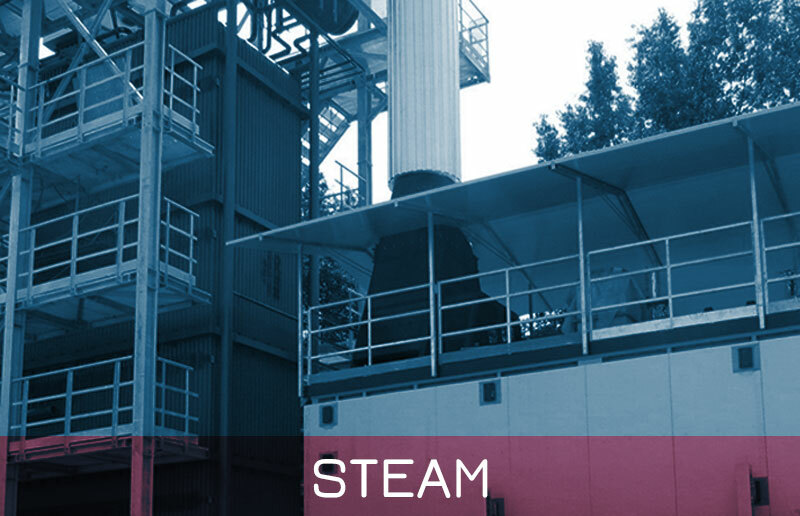 The steam, thermal oil and water boilers are designed specifically to meet the special requirements of solid fuel combustion. This enables low-maintenance and economical operation. 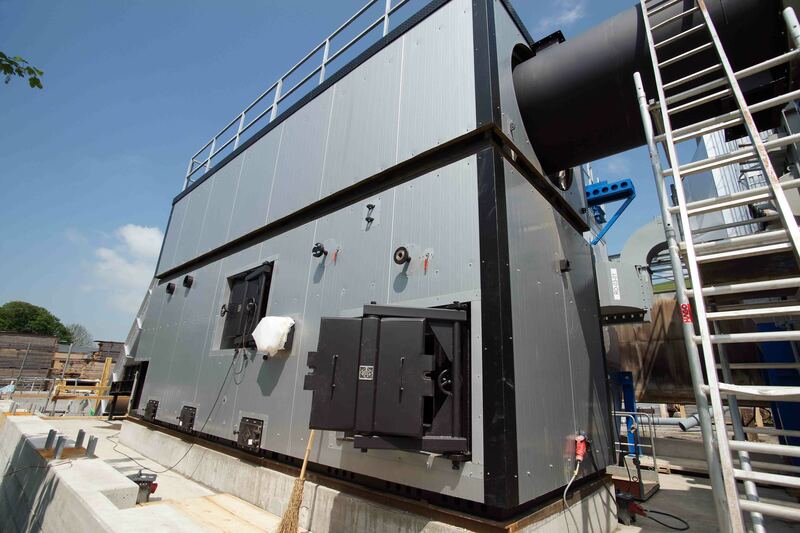 Both the operator and the environment benefit from the high energy yield. The cooled combustion gases are treated in a state-of-the-art process to minimise emission levels. The required technology is selected and the system turned into a functional entirety based on the fuel being used. VAS stands for the utilisation of highly sophisticated exhaust gas technology, starting with the combustion process. 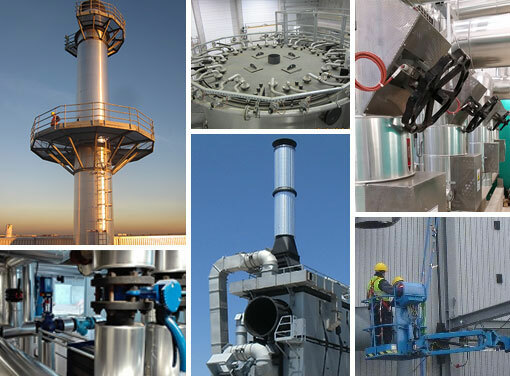 Fractionated dust precipitation, use of cost-effective primary measures and the employment of catalytic or absorptive processes are all standard features. 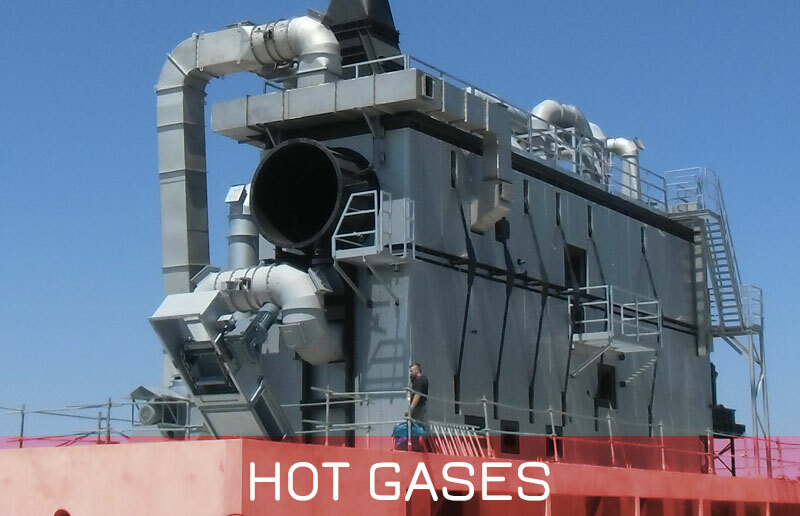 Regardless of whether a mere multi-cyclone or a multi-stage exhaust gas cleaning system (e.g. electrostatic filter and/or fabric filter) is used, the processes are planned and computed very carefully at the beginning of every project. 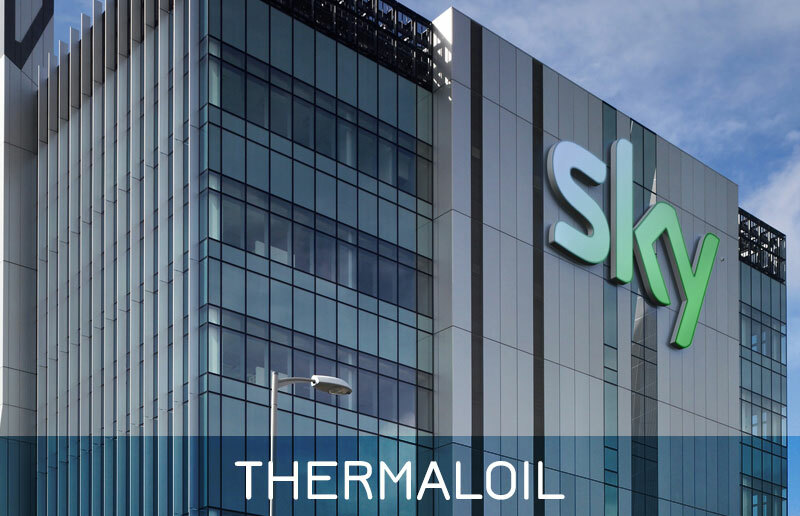 This product group is supplemented with condensation systems that enable utilisation of condensation heat and the achievement of efficiency levels exceeding 100%. The entire process runs fully automatically and can be monitored and analysed by means of the process visualisation. All operating data – including combustion quality, output regulation and exhaust gas composition – are monitored, optimised and recorded continuously. Remote maintenance and remote alarming enable location-independent control. 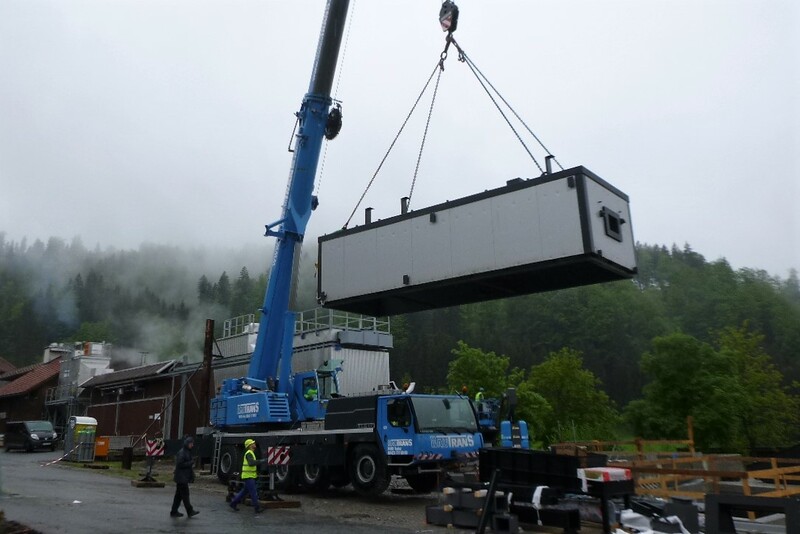 After the Cornerstone Ceremony in January 2018, the next goal was reached: the main components of the new VAS waste wood combustion plant (3,3 MW) at Einsiedeln were delivered and installed during the two weeks installation period. Subject to building related circumstances, the walking floor as well as the fuel conveyor were installed some weeks before; remaining plant main components followed middle of May 2018. 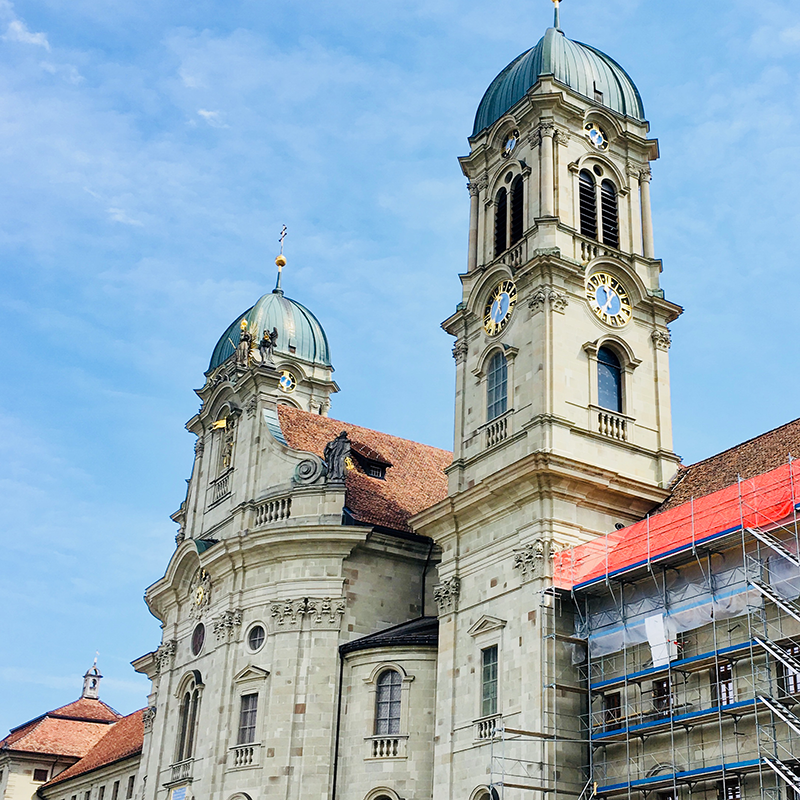 In total close to 125 tons of material were handled by logistics and were lift into position at the site on the terrain of the Benedictines Abbey of Einsiedeln. VAS delivers the full heating plant, consisting of the fuel storage and handling, the waste wood combustion by state of the art technology and including the heat generation and the supply into the district heating network of the EVE AG. 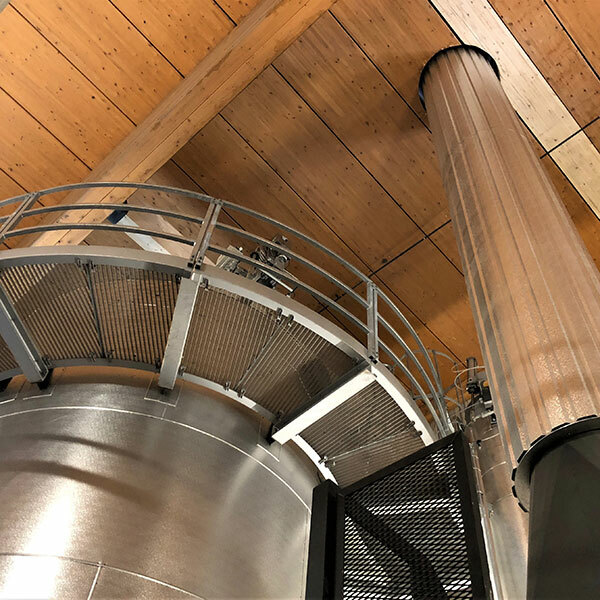 As well, VAS designed and delivered the multi-step exhaust gas treatment by dust precipitation and exhaust gas neutralization, to comply with the strict requirements on emissions for waste wood incineration at the location of Einsiedeln. This plant is a further step of VAS for the development of plant technology within the future-oriented sector of wood waste utilisation. 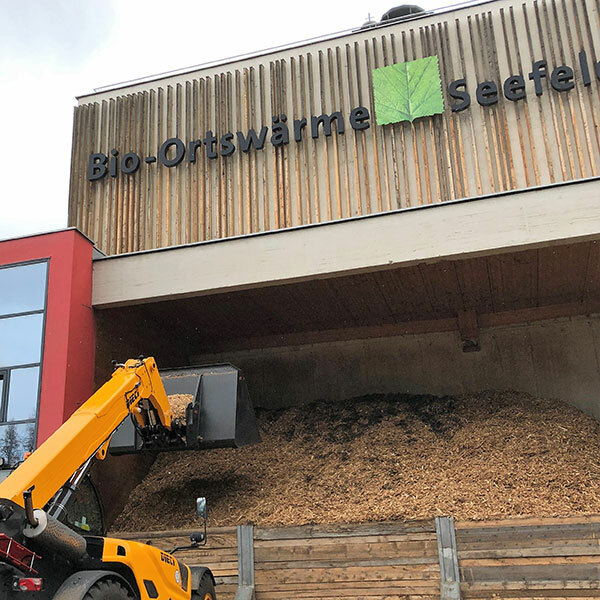 Similar to the waste wood plants in Schwyz/CH (start-up in autumn 2014) and Sheffield/UK (start-up in autumn 2017), the focus of VAS plant will be on the efficient and reliable combustion technology by compliance with the demanding emission limits. Further on, VAS has developed a customised plant concept, which ensures high availability and allows the use of plant at a challenging partial load level in summer time. A full automatic control system with a customised regulation concept for the whole plant complement VAS waste wood heating plant. Due to the high demand on availability, VAS has developed a user-specific plant concept which is also able to reduce operation on minimum load down to 10% during summer times. At the moment, the construction phase to finalise the building takes place and will VAS return to site in summer 2018 to resume with assembly and remaining installations works. 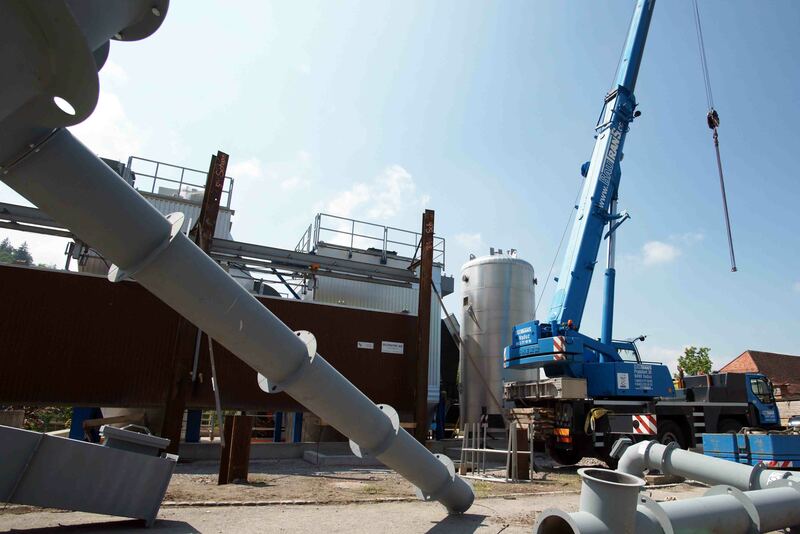 Installation works, beside the finalisation of the components works, includes the construction of the complete water based thermal hydraulics for the heat supply into the district heating network of Einsiedeln. A full automatic control system with the customised regulation concept and the load management will complete the VAS plant, which will commence operations as scheduled by autumn 2018. We would like to thank our client for the use of the numerous images during the main installation period. 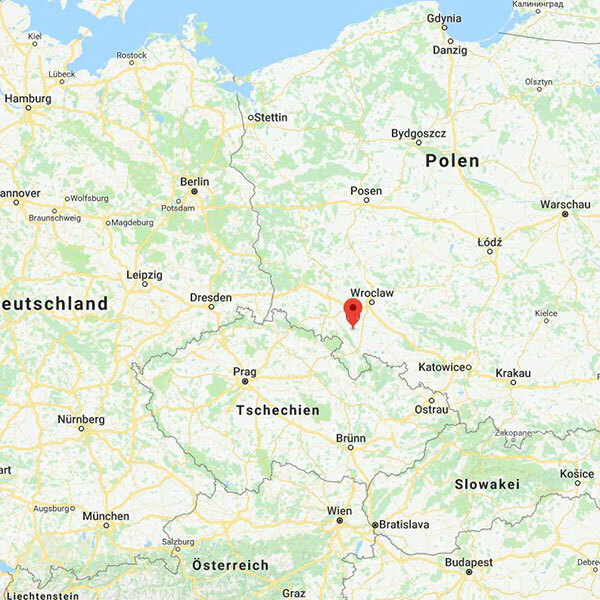 After project Dzierzoniow, VAS has established itself as a general contractor at the next European tender process in Poland. VAS was appointed as general contractor for the construction of a hot water double line plant. 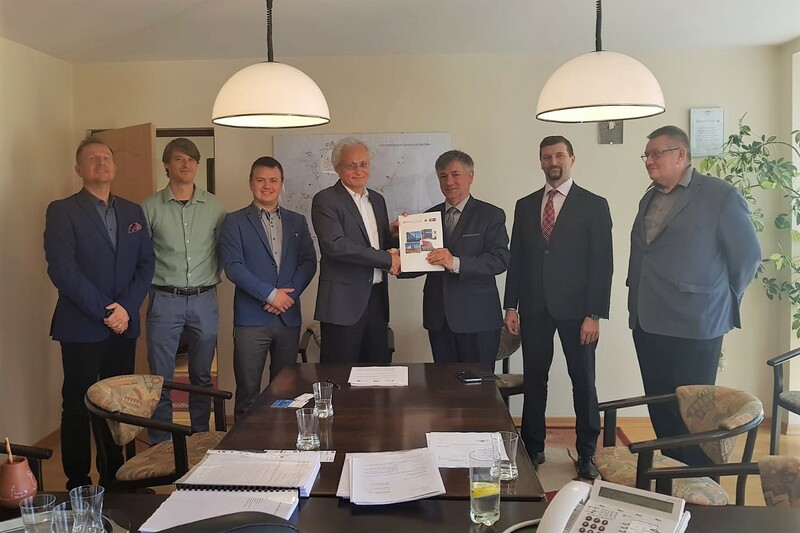 On behalf of company PEC Przedsiębiorstwo Energetyki Cieplnej Sp. 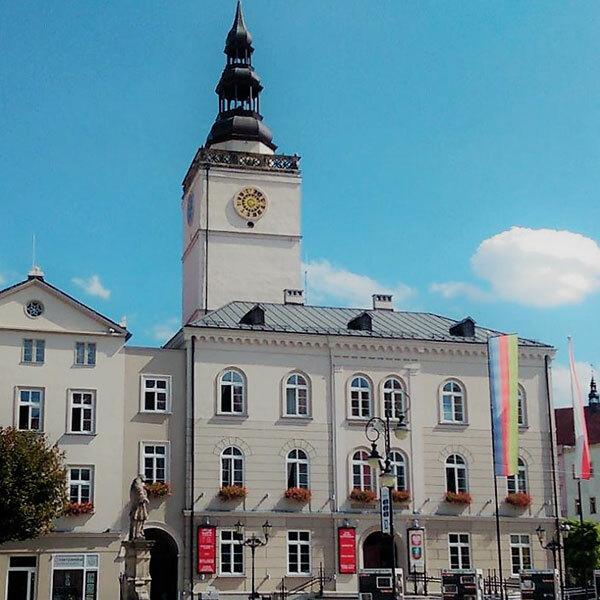 z o.o., a 5 MW and a 12 MW hot water plant will be installed to deliver heat for city of Biala Podlaska. 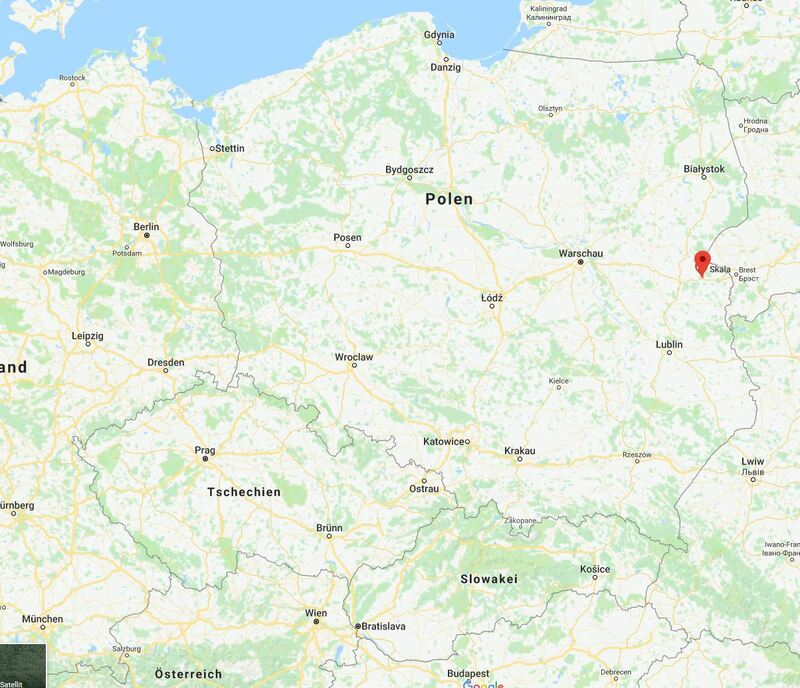 Company PEC Przedsiębiorstwo Energetyki Cieplnej Sp. z o.o. is supplier of thermal energy for the city and will replenish their supply installations with this plant. VAS will be responsible for engineering, delivery and commissioning of the full plant. In particular this includes the full combustion plants (5 MW + 12 MW) incl. exhaust gas cleaning, full water thermalhydraulic together with the load management, the building and all necessary infrastructure. VAS was appointed by company ZEC Zakład Energetyki Cieplnej Sp. z o.o. by an european tender. Company Zakład Energetyki Cieplnej Sp. z o.o. is supplier of thermal energy for city of Dzierzoniow and is also active in the field of waste management. VAS will be responsible for engineering, delivery and commissioning of the full plant. 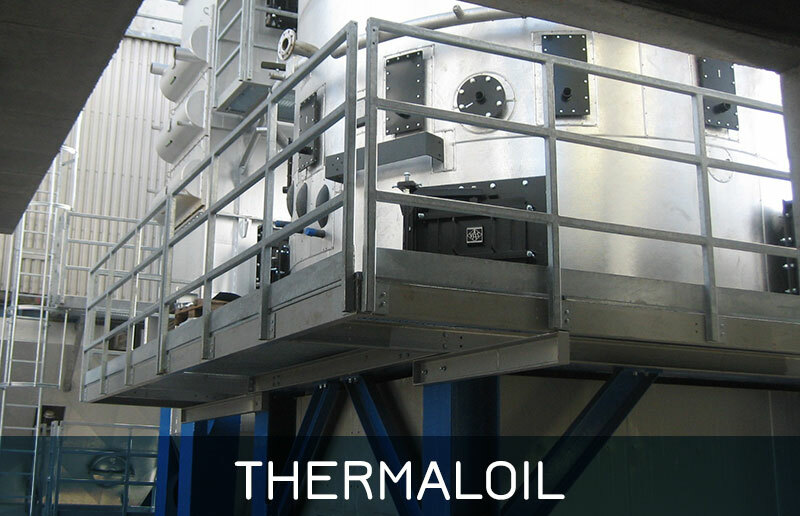 Plant consisting of combustion plant with thermaloil system as well as the ORC unit, building and entire infrastructure. 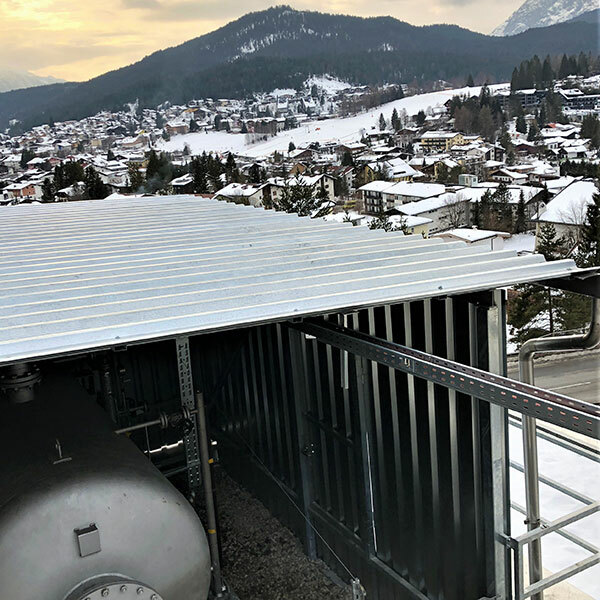 VAS was contracted by Ortswärme Seefeld GmbH to replace one of their existing two boiler lines of another producer at their heating plant in Seefeld (Tirol, AT). 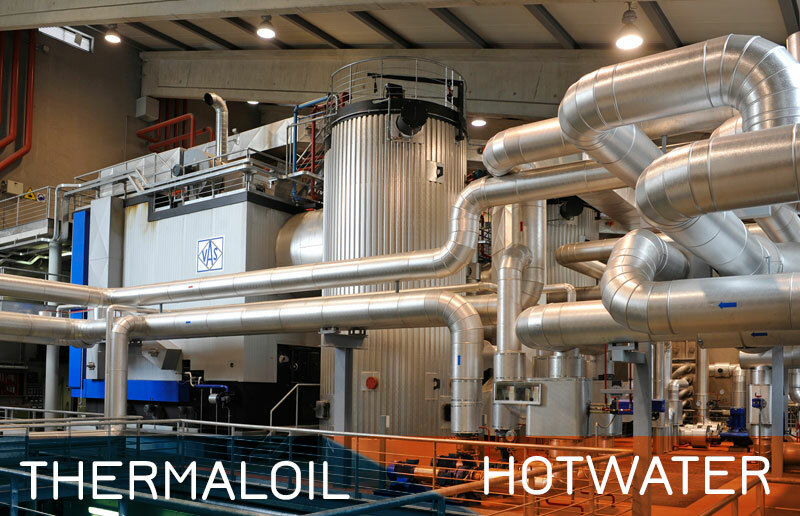 Therefore the existing 3,5MW Warmwater-Plant was replaced by a VAS Thermaloil-Plant, which provides 6,8MWth and 600KWel. 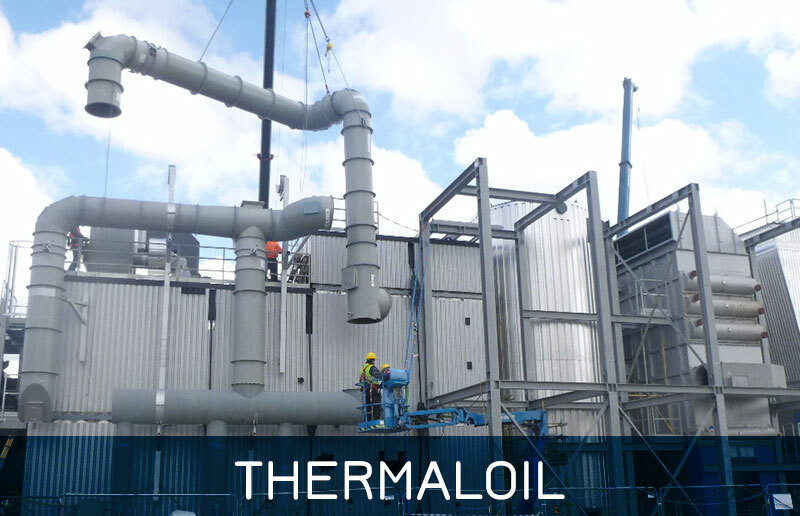 The contract implied the removing and disposal of the existing plant line and the engineering, delivery, and commissioning of the new VAS Thermaloil-Plant and the expansion of the existing system by a 125m³ sized water heat accumulator including necessary water thermalhydraulics. In the course of the installation of the new plant and the substantial expansion of the water thermalhydraulics of existing heat generators, VAS will implement it´s own software to control the full heating plant including the load management. Also the software of the second existing plant (5MW water boiler plant) will also be replaced by a new VAS control software. This comprehensive scope will be completed in April/May 2018. This software upgrades will provide the client with a unified software for the superordinate control of the full plant. 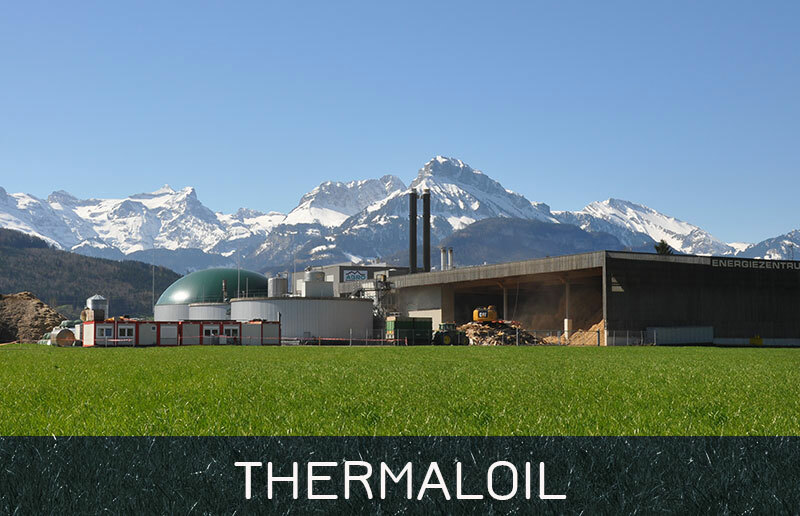 The thermaloil plant was put into operation in December 2017 and has fulfilled it´s contractual trial operation of 5 weeks successfully in January 2018. 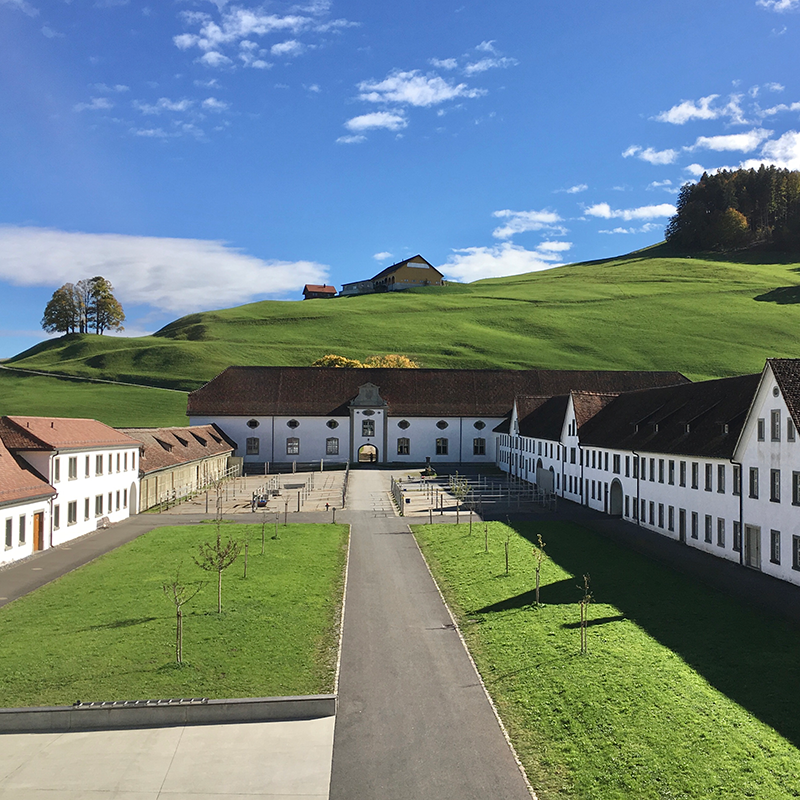 VAS was contracted by EBM Wärme AG to deliver the new heating plant to cover heat demand of the district heating network of the Energieverbund Einsiedeln AG (EVE AG). 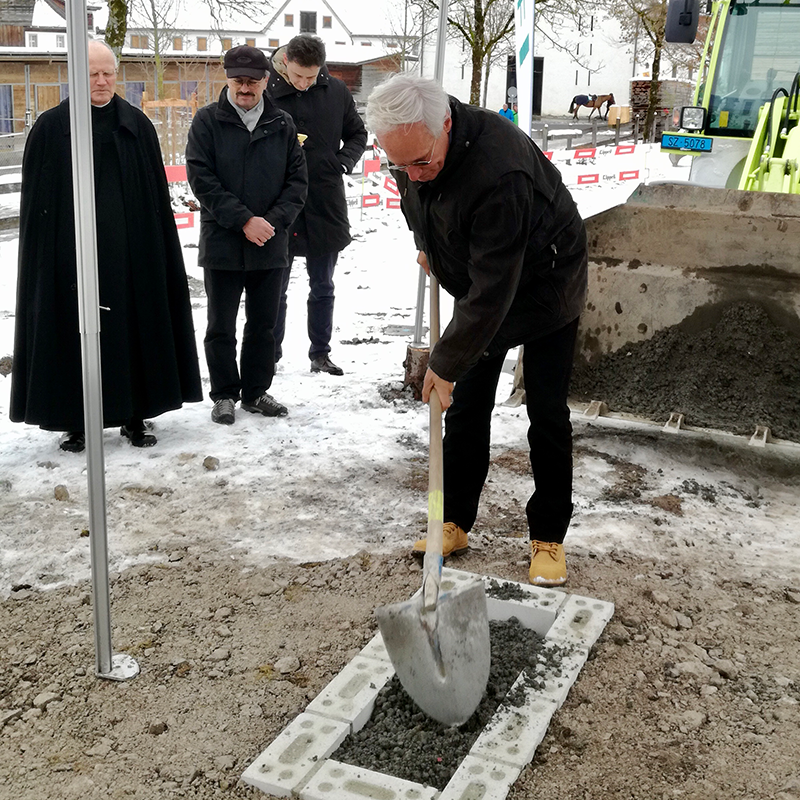 VAS has attended the cornerstone ceremony for the new heating plant at the Benedictine Abbey in Einsiedeln. It´s a further step for VAS for the development of plant technology within the future-oriented sector of wood waste utilisation. The heating centre with a performance of 3,3 MW will deliver thermal energy to the abbey, the school and private building by autumn 2018. 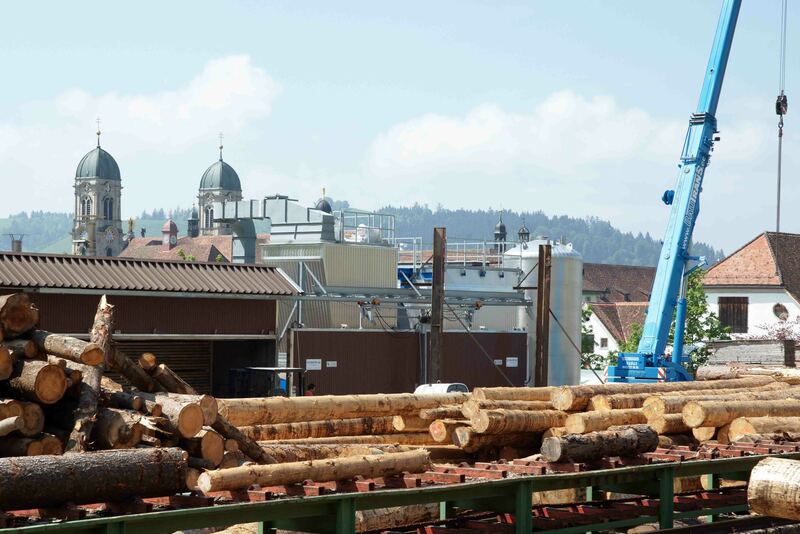 The fuel of waste wood is provided by a local disposal business and does the Energy Town Einsiedeln benefit of this environmental friendly and local energy supply. 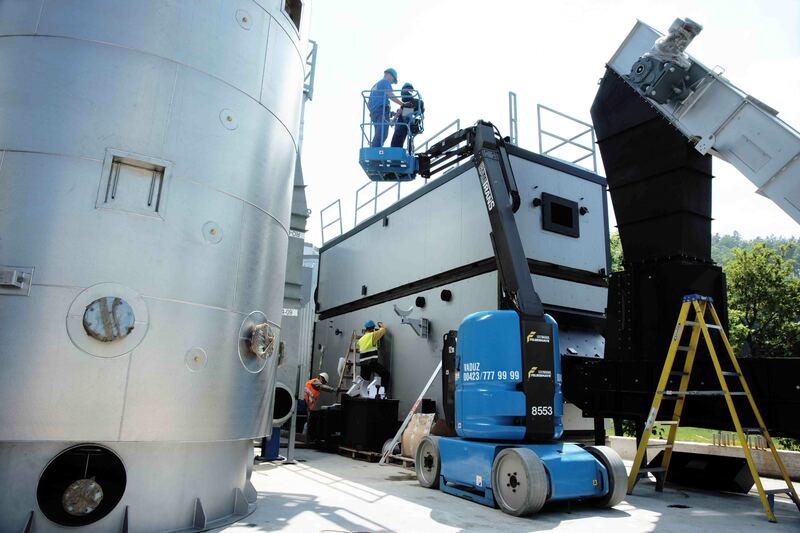 VAS delivers the full heating plant, consisting of the fuel storage and handling, waste wood combustion by state of the art technology and including the heat generation and the supply into the district heating network of the EVE AG. 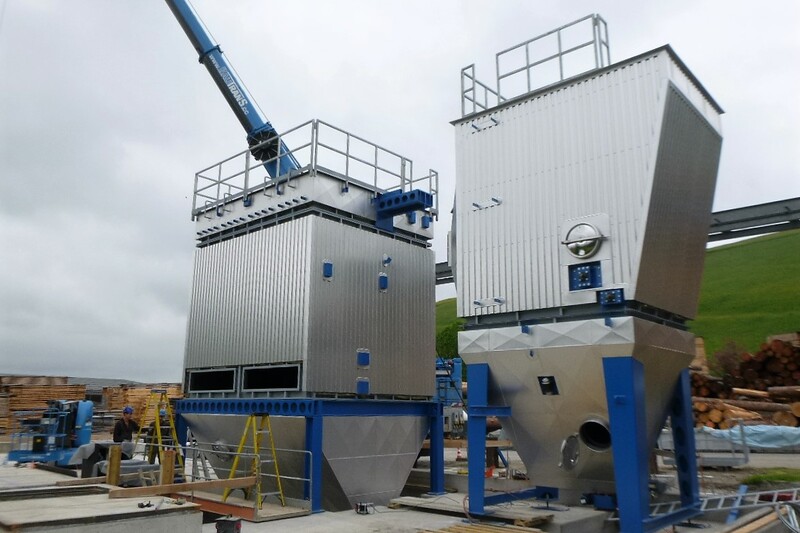 As well, VAS take care of the multi-step exhaust gas treatment by dust precipitation and exhaust gas neutralization, to comply with the strict requirements on emissions for waste wood incineration. This heating plant represents a further progressive reference of VAS in the field of waste wood incineration; comparable to the plants in Schwyz (CH, commissioned autumn 2014) and Sheffield (UK, commissioned 2017) does VAS focus on an efficient and reliable combustion technology by ensuring compliance with the strict requirements on emissions. Our extensive services extend far beyond the completion of your VAS system. As soon as construction is complete, our first-class customer service team – comprising highly motivated and experienced specialists – are at your disposal with advice and support at all times. We look forward to receiving your enquiry, and we will gladly assist you in all aspects of biomass systems technology. On the link below you will find our general and our order conditions for our service and aftersales support. VAS designs, builds and maintains systems for the generation of heat and power in the range of 2 to 25 MW for private, industrial and public-sector customers. Since the company was founded in 1987, we have grown continuously, further refining and perfecting our knowledge regarding energy generation from biomass. Consequently, our experience gained from previously installed systems flows into every new project. We always focus on the needs of our customers in the individual design of every system. We act as a full-service partner and supply the entire system from a single source. This makes coordination and communication particularly simple. 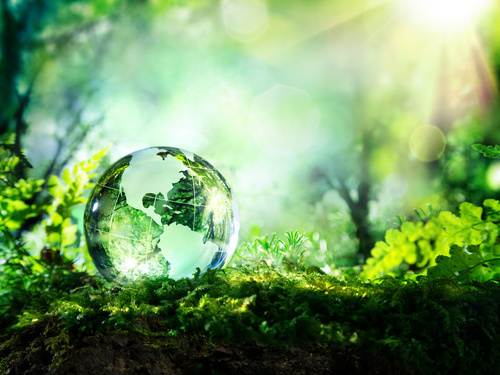 In times of indisputable global warming and diminishing fossil fuel reserves, the issue of alternative energy generation is becoming increasingly important. We need to explore new horizons and, above all, ensure that emission levels are reduced. We regard it as our responsibility to play our part in creating a sustainable future. Local emission levels are therefore kept as low as possible with our systems. This is achieved by evaluating our customers’ requirements very precisely. With the insights gained from this evaluation, we develop reliable solutions, not only to meet the requirements of our customers but also to help protect the environment. Detailed planning of every single component based on an individually tailored system design means that every system component fulfils its specific role in meeting the requirements. 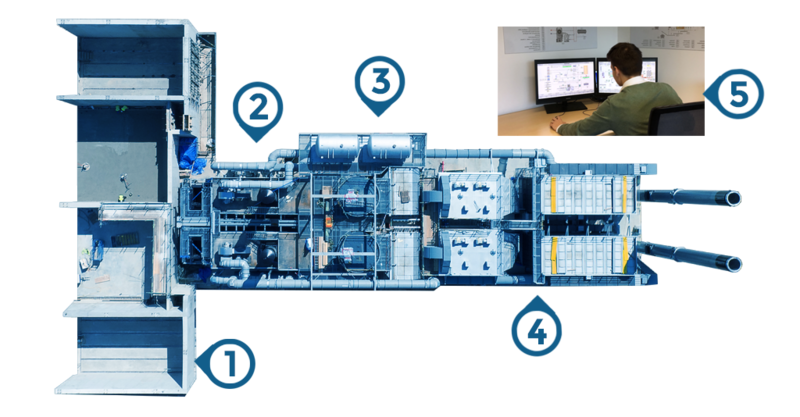 At the same time, our first-class combustion technology forms the heart of every VAS system. This technology includes an enhanced step-grate combustion system that enables utilisation of a wide range of fuels by automatically adjusting the fuel residence-time to the fuel properties and distributing the combustion air over wide ranges. All this is made possible by a control system that we designed specifically for this purpose and features intelligent control technology. 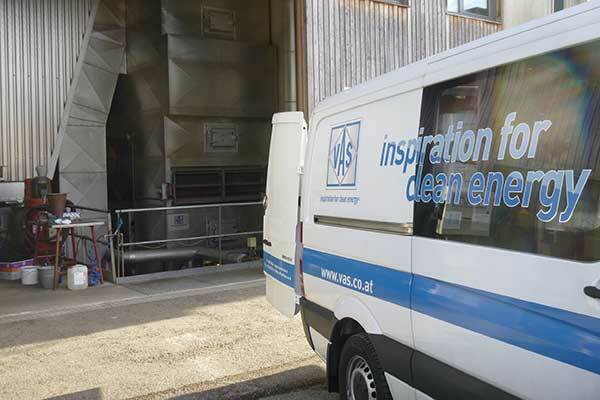 VAS was founded in 1987 as a specialist for exhaust gas treatment systems. We have come a long way since then, evolving from a specialist parts supplier into an internationally active full-service provider. During this time, we have gained plenty of experience and optimised our technology with every project. We have also worked continuously on innovative new developments for optimising each system and we place our trust – on principle – exclusively in first-class, state-of-the-art product quality. 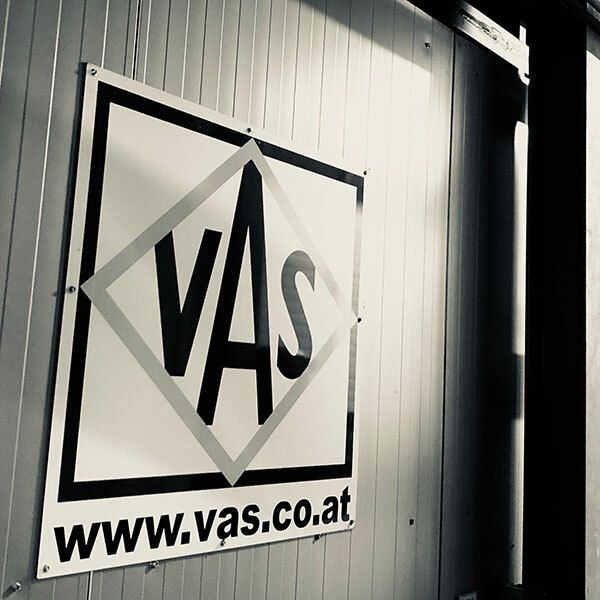 This form of constant further development and avoidance – thanks to our ability as a full-service partner – of interface risks to products from third-party providers has evolved in recent years into our corporate philosophy and characterises the way we work at VAS today. Our company possesses extensive expertise and a wealth of experience in the field of systems technology for generating power and heat from biomass. This well-founded knowledge of all the system processes is the key to systematic planning of every single component. We can therefore guarantee every customer the best possible design concept for their project. Furthermore, our well-established basis as a supplier of pure biomass systems enables successful development and use of alternative fuels. 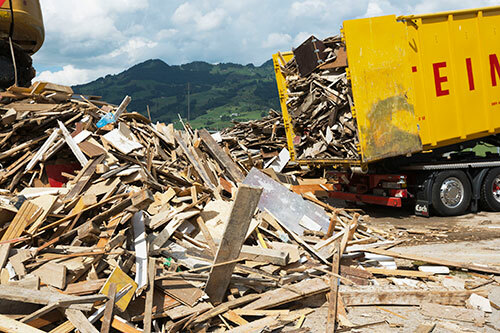 VAS can also respond to the widest variety of customer requirements regarding solid fuels, including waste wood and RDF material. Moreover, our technology meets also the strictest existing emission standards (e.g. WID/IED in the UK).